Further down I tell the story about my claim to fame. This is the prequel to that posting, so you may want to read this first! I have a very good friend named Julie. She is, without a doubt, the most passionate animal lover I know. She and a group of equally passionate people worked very hard and were able to start the Menominee Animal Shelter here in town (http://mashelter.org). She has worked tirelessly for the last five years fundraising and doing everything in her power to bring notice to the needs of the animal community. A couple of years ago, she called me up and asked me to create a necklace and bracelet set for her mom’s birthday. She learned her love of animals from her mother, and she wanted the jewelry to be animal related. We tossed a couple of ideas around and I said I’d work on it. 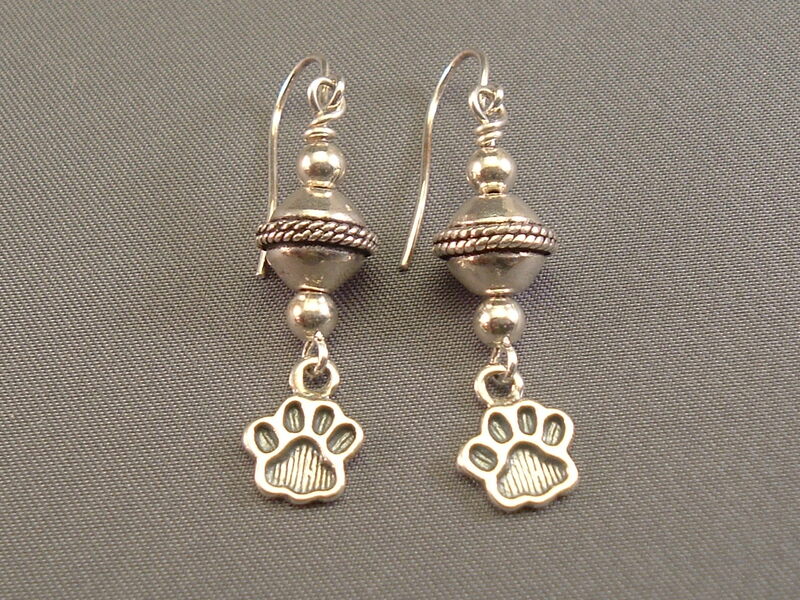 I found wonderful charms with paws and bones, and I paired them with Sterling Silver and gold plated accents (a mixture I LOVE). Well, to make an even longer story short, her mother loved them, and so did Jules, who ordered several more sets for gifts. I decided it would become my way of helping the Shelter (other than adopting more animals I don’t have room for…now) and I decided I would donate back a portion of the proceeds to the Shelter. I have been able to donate to a cause near and dear to a lot of hearts while creating the jewelry I love. Someday when my children are grown I have no doubt I will become the crazy cat lady who lives with a houseful of feline companions, and I will be a frequent visitor to the Shelter for that reason. But for now I will help in the way I can – by spreading the word about the Shelter and helping by giving back to a good cause.